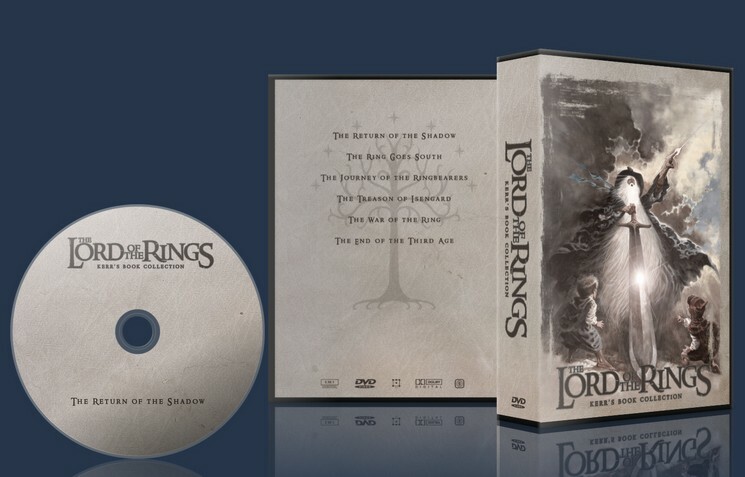 The fourth of a six-part edit made to bring Peter Jackson’s adaptations of “The Lord of the Rings” as close as possible to the original book by J.R.R. Tolkien, this covers the last half of “The Two Towers”. To separate Peter Jackson’s “The Lord of the Rings” trilogy into six parts that adhere as closely as possible to the six books of J.R.R. Tolkien’s “The Lord of the Rings”. 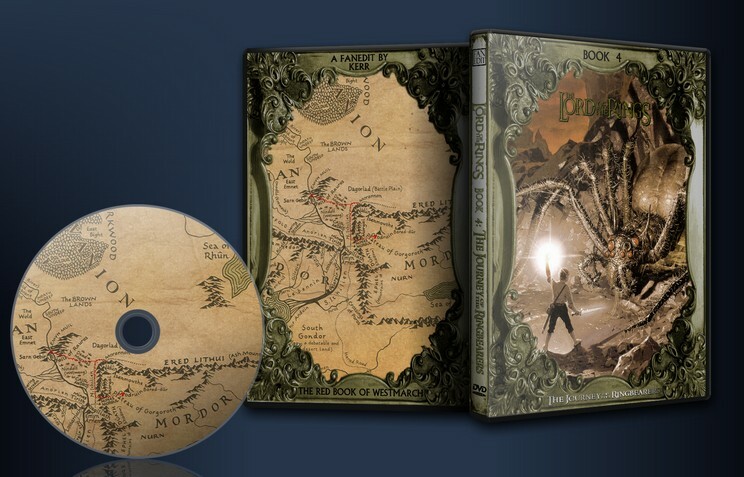 This is done by both restructuring the films to match the narrative structure found in Tolkien’s book, and by removing as much as possible of the material that has no basis in Tolkien’s vision of Middle-Earth. 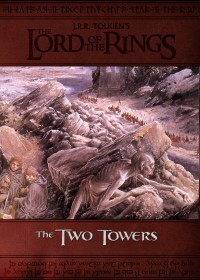 For Book IV, this has meant separating Frodo and Sam’s journey from the rest of the story, to extend the story with scenes from “The Return of the King”, and drastically alter some key plot points, most notably Faramir taking the hobbits to Osgiliath and Frodo sending Sam home, events which did not take place in the book. This fanedit primarily intended for fans of Tolkien’s work. Its intention is not to improve the films in and of themselves, and viewers unfamiliar with the book will probably be left confused and unsatisfied, and would be better off watching the originals. But if you’ve made it this far, you already know that, right? - Removed Frodo seeing the Eye in Emyn Muil. - Cut Frodo’s line “What food have we got left?” and Sam’s reply “Well let me see… Oh yes, lovely – lembas bread! And look… More lembas bread!” Sam’s line is just odd and unnecessary, and I think the scene works better with less talk. - The Emyn Muil scenes have been rearranged to closer match the book, so their climb down the cliff is the last event before they encounter Gollum. - Cut Frodo’s line “We’re not alone.” With the rearranging, the line doesn’t work (Sam says later “Who’d follow us down here?”) – and the “horrid stink” most likely emanates from the Dead Marshes, not Gollum, anyway. - Cut Sam’s line “Boats and rope and goodness knows what… It’s not natural – none of it!” Another really strange line from Sam. 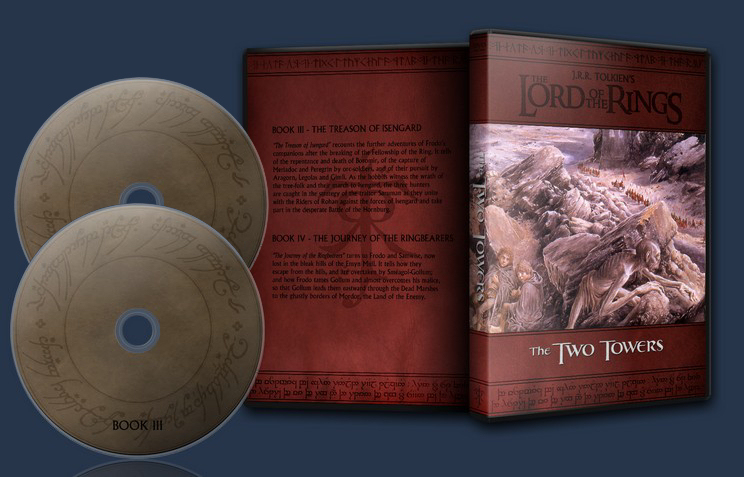 - “Book IV – The Journey of the Ringbearers” title added over Gollum climbing down to the hobbits. - Like in the book, Frodo does not fall into the CGI waters of the Dead Marshes. - The Smeagol flashback from RotK has been inserted into the scene in the dead marshes, after Gollum says “Smeagol…” The flashback has to be somewhere, and this is the most fitting place, since it was originally intended by PJ to be included here. Only the first part of the flashback has been used, since the narration doesn’t really fit when placed here. - Cut Deagol being dragged by a CGI fish. - Sam does not fall off the cliff at the Black Gate, and they do not use the elven cloaks. - The last part of the scene with Gollum catching fish in the stream has been removed. As in the book, there is no quarreling between Frodo and Sam in this edit. It now ends with Frodo’s “I have to believe he can come back”. - Some cuts made to the hobbits being captured by the rangers to remove repetitive actions. - Cut mention of “the fight coming to men on both fronts” from the map scene. Saruman is old news at this point, so the line is redundant. - Some cuts made to Faramir’s interrogation of the hobbits to make him seem a bit less threatening. - The rangers do not beat up Gollum. - Cut the scene where Sam urges Frodo to use the ring, both to make Faramir less of a villain, and because the scene has a grievous continuity error regarding the barrels. - Cut Frodo looking like a drug addict/like Elijah Wood when threatened by Faramir. - … Faramir: “Go, Frodo. Go with the goodwill of all Men.” Frodo: “Thank you.” Sam: “Captain Faramir… You have shown your quality – the very highest.” As in the book, Faramir lets the hobbits go, instead of taking them to Osgiliath. The scene has been pieced together from recolored bits of the final Osgiliath scene. - This cuts to Gollum leading the hobbits through Ithilien. First a shot from the beginning of RotK, then the “Songs and tales” scene from TTT. - Some cuts made to Frodo walking towards Minas Morgul. - Cut the closeup of the Witchking, in order to keep some mystery for his big reveal in Book V.
- Several changes have been made to the Stairs of Cirith Ungol sequence. Gollum does not steal Lembas, and Frodo does not send Sam home. Instead, Gollum separates the hobbits by pushing Sam down the stairs. - Cut Frodo’s final encounter with Gollum. Not in the book, not needed, and it makes more sense for Frodo to continue on without Sam without the Gollum-encounter, since Shelob is now still a threat. - Cut Frodo looking like a drug addict/like Elijah Wood when stung by Shelob. - Sam’s fight with Shelob has been shortened somewhat. - As Frodo is taken by the orcs, we cut to “End of Book IV”. - Frodo answers his questions more freely, and does not lie about Gollum. Yet another fine edit! Kerr tries to salvage certain characters traits, and also manages to convincingly cut Frodo's dismissal of Sam. I think the new implication that Gollum pushes Sam works. The Smeagol-flashback is sensibly placed and works. Everything works. These edits are a pleasure to watch!